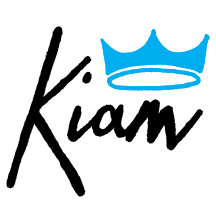 Visit this page on the first Friday of every month and receive a FREE download of songs in varying themes by our growing roster of Kiam artists. Each month's collection of songs will be available to download from midnight to midnight only on Friday via a special Soundcloud set, but will be archived and available to stream at our Soundcloud page, thereafter. Month FOUR is upon us. It's December 6th. This month's theme is HOLIDAY.